Following the “Amen,” someone knocked at the door. The local baker stood there with freshly baked bread. He said God had told him the night before to make it for the orphanage. Before they could start eating the bread, the milk man knocked at the door. He had milk aplenty for the children. George Muller’s orphanage ministry always operated by voicing needs only to God and letting Him supply them. George’s life has always inspired others to pray. Those who cared prayed for the young George Muller because of his reckless ways. He drank. He practiced dishonesty. When he was 16, he spent three weeks in jail as a thief. He needed direction. That all changed when at age 20 he called on God for himself and began his faith journey. George began his life of prayer here, at the home of J. V. Wagner. In 1825, George was attending the University of Halle in Germany. He accepted a friend’s invitation to a Christian meeting. That night, he knelt in prayer for salvation, later stating, “That evening was the turn-ing point in my life.” George never stopped praying. God was to make George Muller a shining example of the power of prayer. He went to London in 1929 to train to minister to the Jews. That pursuit did not result in the ministry he’d planned. He began preaching at a church in south Devon. He married Mary Groves. They searched the Scriptures together to better understand how to live obediently to God. From their studies emerged the guiding principle of their lives. Within a month of their wedding, George and Mary concluded that they should not accept a salary for pastoring. They believed the biblical example was to totally trust God for their financial needs. 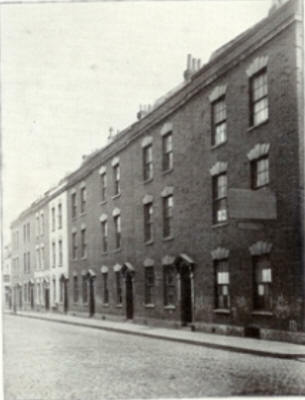 In 1832 George was invited to co-pastor Gideon Chapel in Bristol. The man he served with also chose to “live by faith” rather than accept a salary from the congregation. Two years later, George began the Scriptural Knowledge Institution for Home and Abroad. It promoted the gospel message via Bible distribution, Sunday school teaching, and the support of missionaries. Then, George felt inspired to develop another specific outreach It’s the one for which he’s best known. By the early 1830s, England faced a plague. Healthwise, epidemics of cholera and typhus had taken their toll. However, another plague ran rampant: poverty. Some children who’d suffered the loss of their parents to disease had to earn their keep in workhouses while others lived on the streets, surviving by their wits. Inspired by Christians before him, George sensed the call to help as many orphans as he could. But he chose to express all finacial needs only to God and to make no request of any individual or organization. The first orphanage, for girls only, opened in 1836, followed later that year by an orphanage for infants. The next year, they opened a third facility especially for boys. The condition of orphans in London would soon be brought to light in novel form when Oliver Twist by Charles Dickens was published 1837. The novel would help promote the need for George’s work of faith. When a child was old enough to leave the orphanage, George would try to place them in employment with others who were Christians. George once expressed his faith in the words, “Be assured, if you walk with Him and look to Him, and expect help from Him, He will never fail you.” By 1870, he had opened five homes with schools, providing for over 2,000 children. Payment for the land, building materials and supplies were all the result of prayer. In 1870, shortly after opening the fifth home, Mary Muller passed away. Just as George trusted Him to, God continued providing. After her death, George left the orphanages in the hands of his son-in-law. George was then 75. He traveled and preached for the next 17 years. 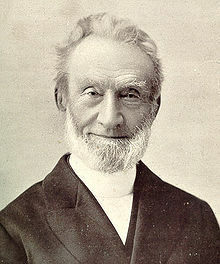 George Muller in his latter years. His life’s work isn’t the only way George Muller proved his faith. He once stated that God had answered up to 50,000 of his prayers. He could prove it with the notebook he kept. In it he recorded prayer requests with the date he made each one followed by the date each was answered. George inspired missionary Hudson Taylor. He was Hudson’s main benefactor in the early days of China Inland Mission. Hudson emulated George’s example of relying on God to supply. Before George’s death in 1898, George left a few statements about himself and the God he served. Here are a few. You can find more quotes at http://www.georgemuller.org/quotes.html. LET ME KNOW: How has George’s story informed, encouraged, or otherwise helped you? I welcome your comments. Hanks, Geoffrey. 70 Great Christians. Scotland, UK: Christian Focus Publications, 2000. Larsen, Timothy, ed. Biographical Dictionary of Evangelicals. Downers Grove, Illinois: InterVarsity Press, 2003. Miller, Basil. 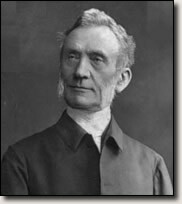 George Muller: Man of Faith and Miracles. Grand Rapids, MI: Zondervan, 1941. Woodbridge, John D., ed. Great Leaders of the Christian Church. Chicago, IL: Moody Press, 1988. Here are books by and about George Muller at Amazon.com: http://www.amazon.com/s/ref=nb_sb_sabc?url=search-alias%3Daps&pageMinusResults=1&suo=1380288428222#/ref=nb_sb_ss_i_0_13?url=search-alias%3Daps&field-keywords=george%20muller&sprefix=george+muller%2Caps%2C178&rh=i%3Aaps%2Ck%3Ageorge%20muller. This entry was posted in Social change agent. Bookmark the permalink. May use these pictures for my research for school? see [PD-1923] below a picture, that means it is in the public domain (so anyone can use it) because it was taken before 1923.